Cystic Fibrosis is the most common recessive genetic condition affecting children and young adults in Australia today. 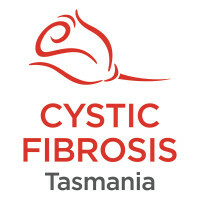 But despite this Cystic Fibrosis Tasmania receives NO government funding. We rely on donations, grants and good old-fashioned fundraising. Funds raised through donations this year will go towards a range of services to support Tasmanian families who have been impacted by this disease. Educational scholarships to encourage people with CF to continue their studies past Year 12. These are just some of the many services we offer to support our families. Feel free to contact us to enquire about what else we offer. We would also warmly welcome enquiries about sponsorship and are happy to tailor a package for your business. Thanks to our generous supporters in 2018 we were able to offer increased financial support to our members in a range of programs such as gym membership subsidies, support for the extra costs associated with staying in hospital and goodie bags for children and teens who are hospitalised. With your help we can continue this work in 2019.